Margaritas have always been one of the casa crew’s favorite cocktails. We have a little Mexican place in Arizona that serves THE BEST frozen concoctions, with more mix-ins that you can imagine. AZ is also where I fell in love with margaritas on the rocks. Frozen cocktails are fun to make, especially when you have a large group of people gathered around to eat, drink, and be merry. At the the end of the day though when I want to unwind, the last thing I want to mess with is pulling out the blender. 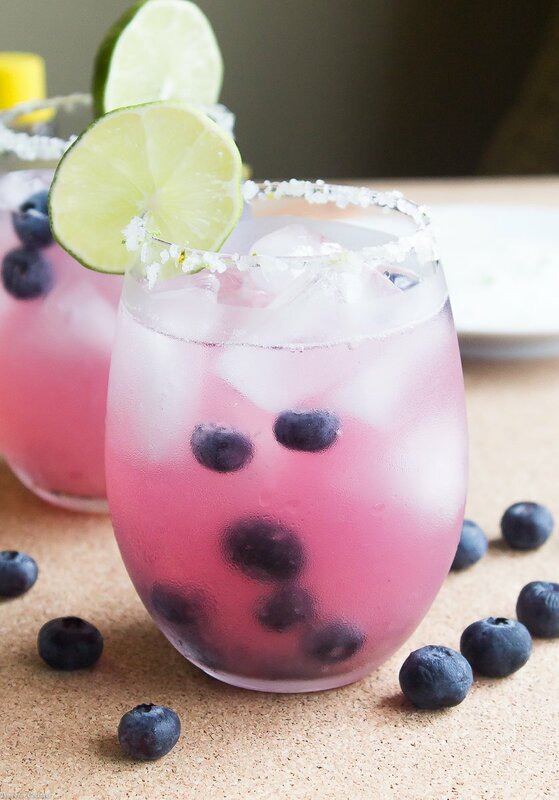 That’s when this recipe for fresh Blueberry Margaritas is my go-to end of a busy day drink. I recently signed on as a blueberry ambassador (yes, it’s really a thing! ), and these little blue dynamos were the perfect addition to my evening cocktail, especially since it was #nationalmargaritaday. Paul started a new job, and has been working wonky hours, which means I have been drinking alone more. I promise that isn’t as sad as it sounds. lol It actually gives me a little time after work to myself before going into wife-mode. 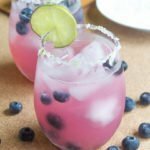 What I love most about these Blueberry Margaritas is you can make just one, because sometimes that is enough. 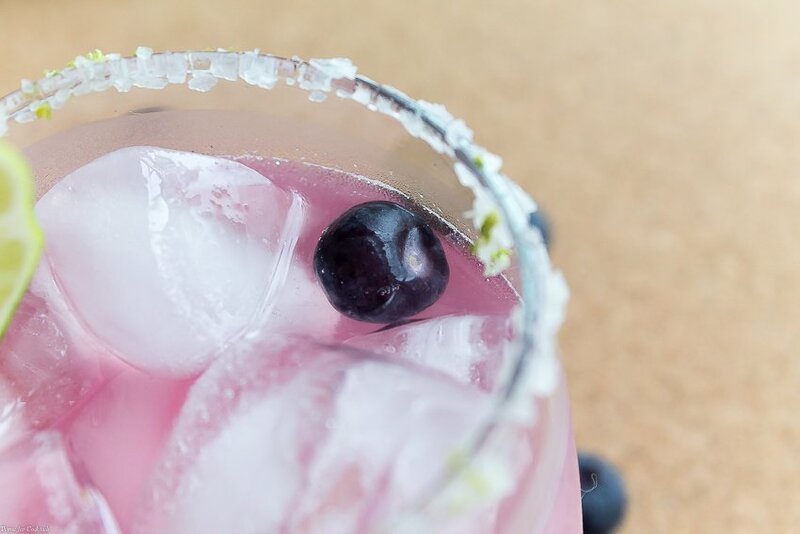 All you need to make this cocktail are fresh blueberries, a lime, fresh squeezed lemon juice, and a touch of honey. Oh wait, you need tequila too! I like to use reasonably priced, mid-shelf brands in mixed drinks. We save the ‘spensive stuff for straight sipping. What fresh, seasonal fruit do you like to use in cocktail recipes? Share your favorite margarita flavors in the comments. Mix salt and zest together on a small plate. Rub 1/2 of lime around glass rim, dip into salt. Set aside. 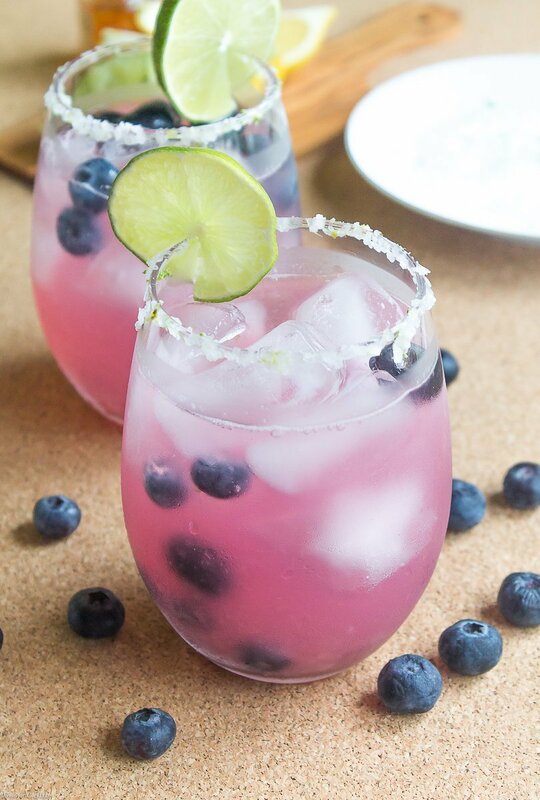 Add blueberries, honey, and tequila to a cocktail shaker. Muddle to break up berries. Squeeze lime and lemon juice into shaker. Add ice, shake 10 seconds. Pour into salted glass filled with ice. Garnish with lime slices and more berries.